Among the world’s greatest museums, the Louvre is full of masterpieces from all periods, art styles and geographical origins. Here is a selection of key works at the Louvre: from the most classic to the most original, where female figures are often in the spotlight. 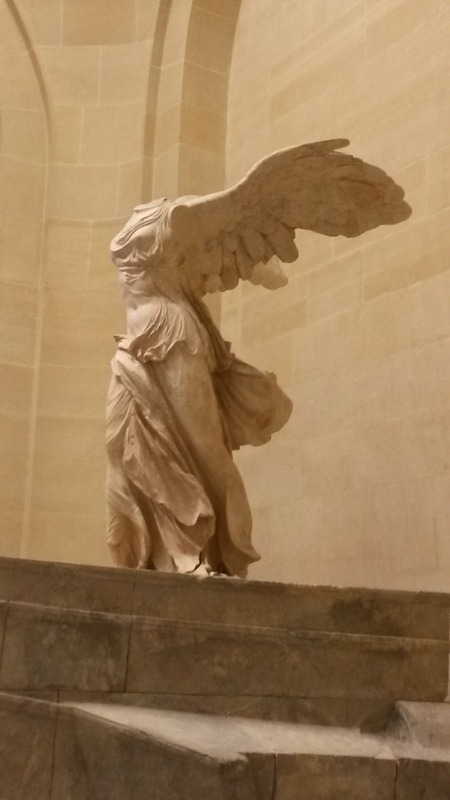 The Winged Victory (also called the Nike of Samothrace) is a Greek sculpture of the Hellenistic period representing the goddess Nike, the personification of victory, placed on the front of a ship. With a total height of 8 feet, it was carved about 190 BC on the island of Samothrace in the North Aegean, Greece. 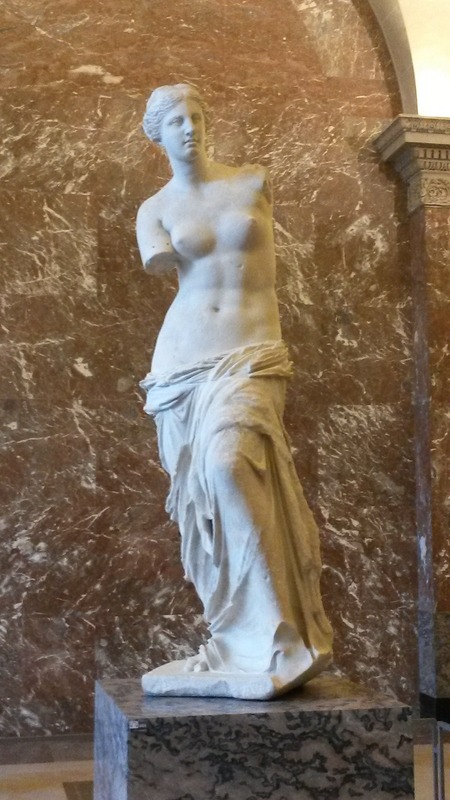 The Aphrodite of Milos (better known as the “Venus de Milo”) is a famous Greek statue of the late Hellenistic Period (100 BC) depicting the goddess Aphrodite (Venus in Roman mythology). It was discovered on the island of Milos in the Cyclades, Greece. The Mona Lisa (also known as “La Joconde” or “La Gioconda”) is a portrait of Lisa Gherardini, wife of Francesco del Giocondo painted by Leonardo da Vinci between 1503 and 1506. 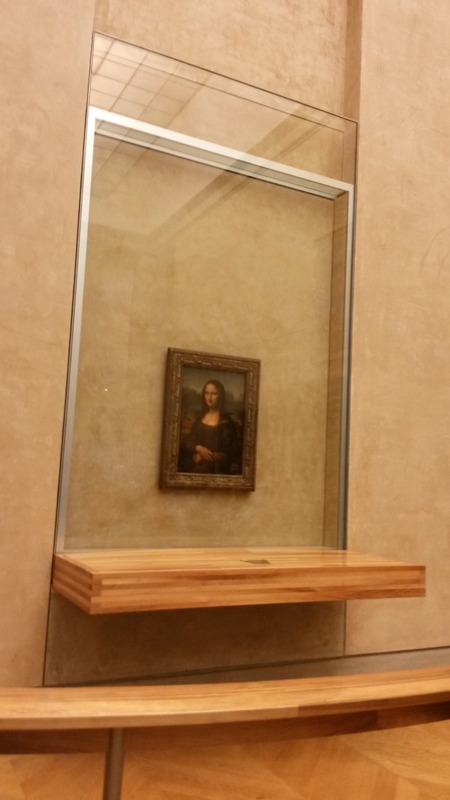 The Louvre Museum’s star is kept behind a glass casing to protect it and contribute to its preservation. Most visited art work in the world, more than 20 000 people come to admire and photograph it every day. 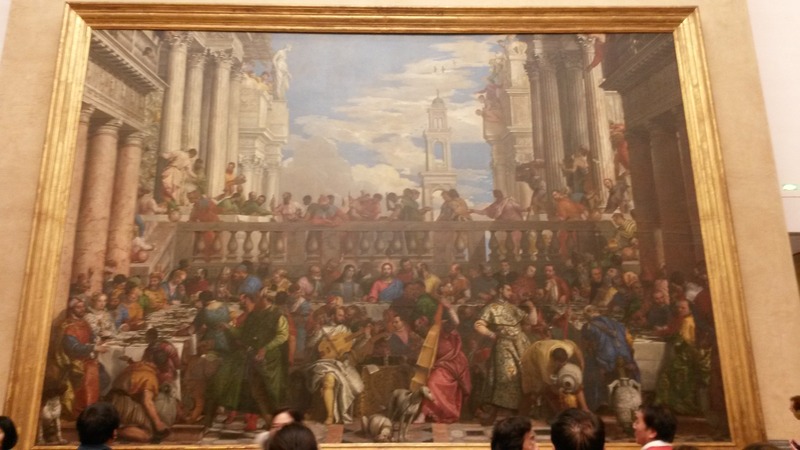 The Wedding at Cana (also known as “The Wedding Feast at Cana”) by Paolo Véronèse, depicts the Bible story of a marriage banquet at which Jesus converted water to wine. This sacred episode is transposed as part of a lavish Venetian wedding. Most imposing work of the Louvre by its size (70 square meter), this painting was executed to adorn a Benedictine refectory in Venice. 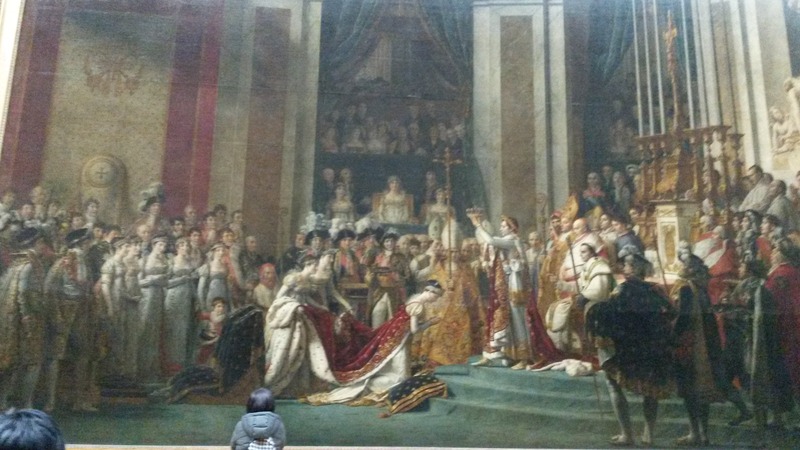 The coronation of Napoleon was completed by Jacques Louis David in 1807. The painting depicts the coronation of Napoleon 1 and of the Empress Josephine at the Cathedral Notre Dame de Paris on December 2nd 1804. An almost identical replica of the work can be admired at Versailles. 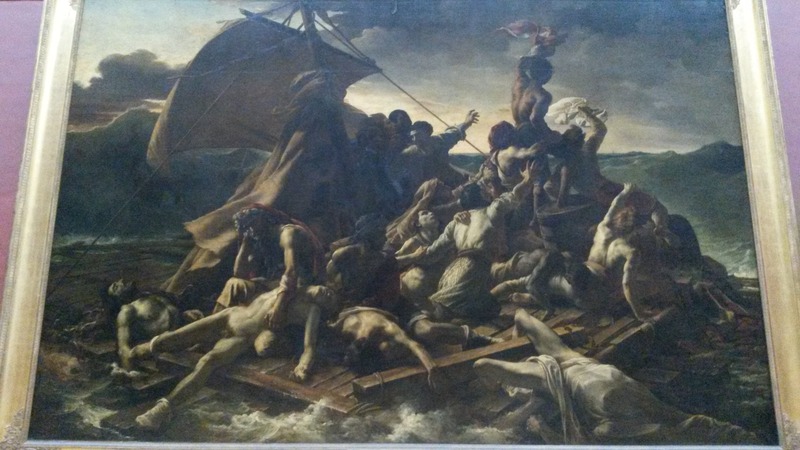 The Raft of the Medusa was painted in 1818-1819 by Théodore Géricault. It represents the sinking of the frigate Medusa, which ran aground off the coast of Mauritania in July 1816. 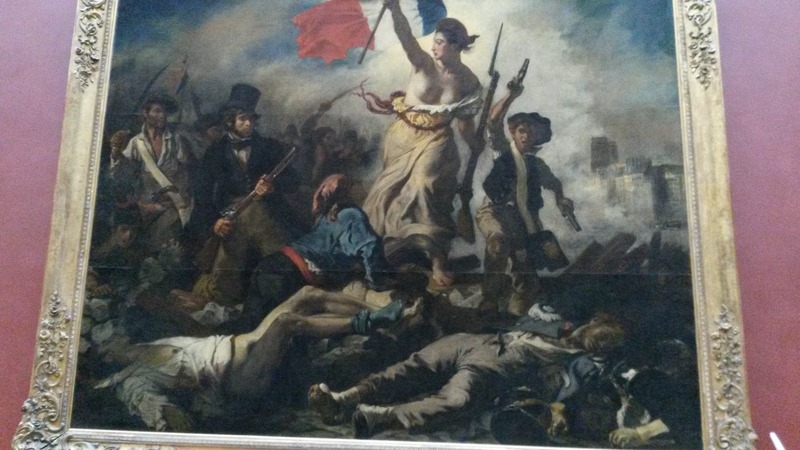 Liberty Leading the People is a painting by Eugene Delacroix produced in 1830. Commemorating the July Revolution of 1830, the allegorical figure of a woman waving the French flag has often been chosen as the symbol of the French Republic or democracy. 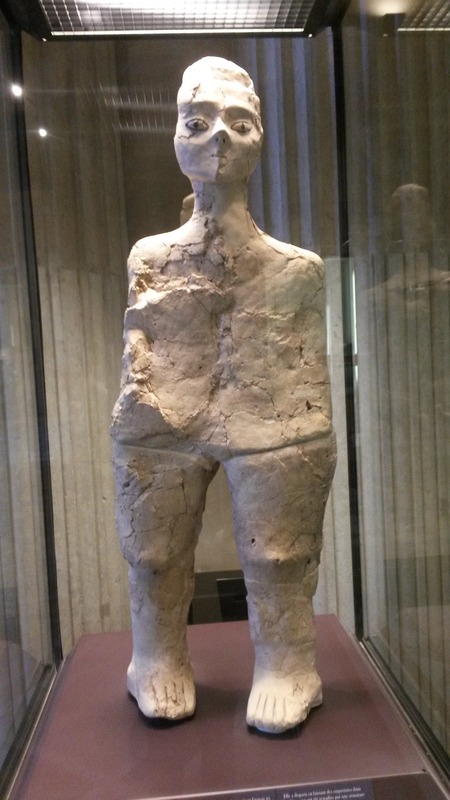 Oldest work in the Louvre museum, the 9000 years old human form statue comes from excavations at Ain Ghazal in Jordan. Discovered in 1985 it dates back from the Neolithic Pre-Ceramic period (7th millennium) and was made out of gypsum plaster. The eyelids and pupils are made out of bitumen. The sphinx is a mythical creature with the head of a human and the body of a lion. In temples, it has a role of guardian and protector. It bears the inscriptions of the names of pharaohs Amenemhet II (1929-1895 BC), Merneptah (1212-1202 BC) and Sheshonq I (945-924 BC). Some archaeologists date the statue of the earlier period of the Old Kingdom (2600 BC). 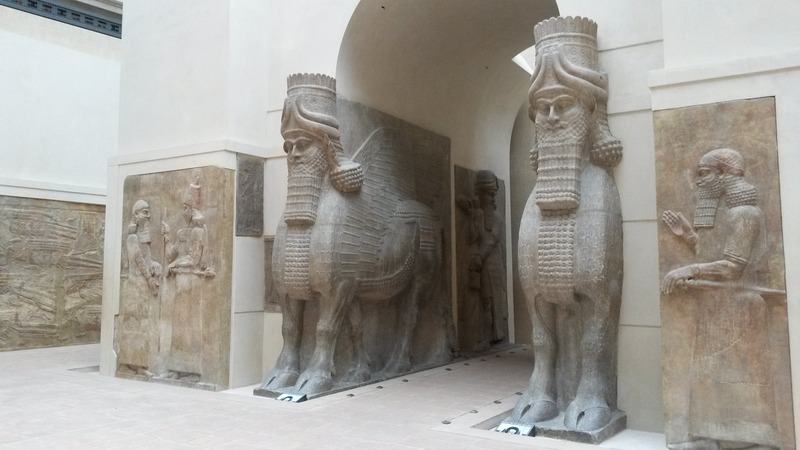 These Winged headed bulls are protecting geniuses that were the guardians of some of the city gates and of the palace of Khorsabad in Mesopotamia. Combination of a human head, a bull’s body and bird wings, they provided protection against any potential enemy during the creation of the city dated 713 BCE. 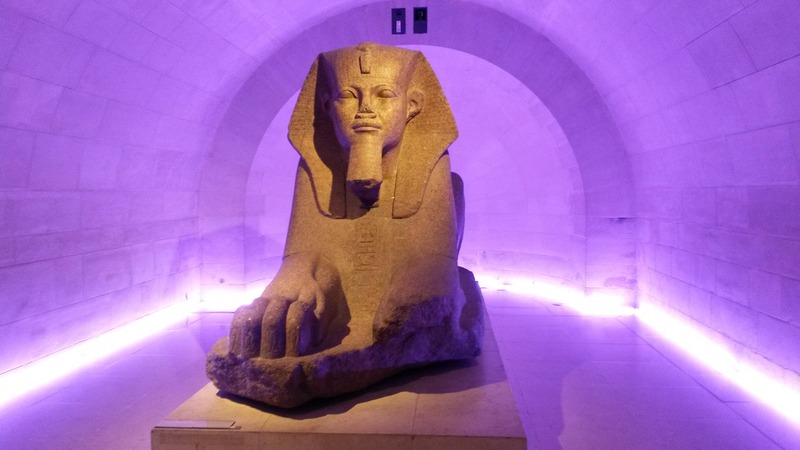 Take advantage of the Louvre guided tours offered by PARISCityVISION to discover or rediscover these masterpieces commented by a professional guide or through an audio guide. 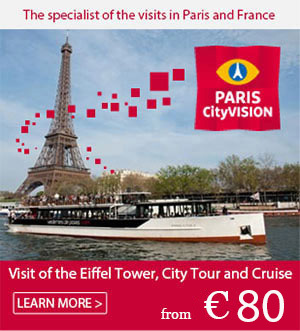 And if you are an Art lover, why not let yourself be tempted by a Louvre private tour? Enjoy your visit!